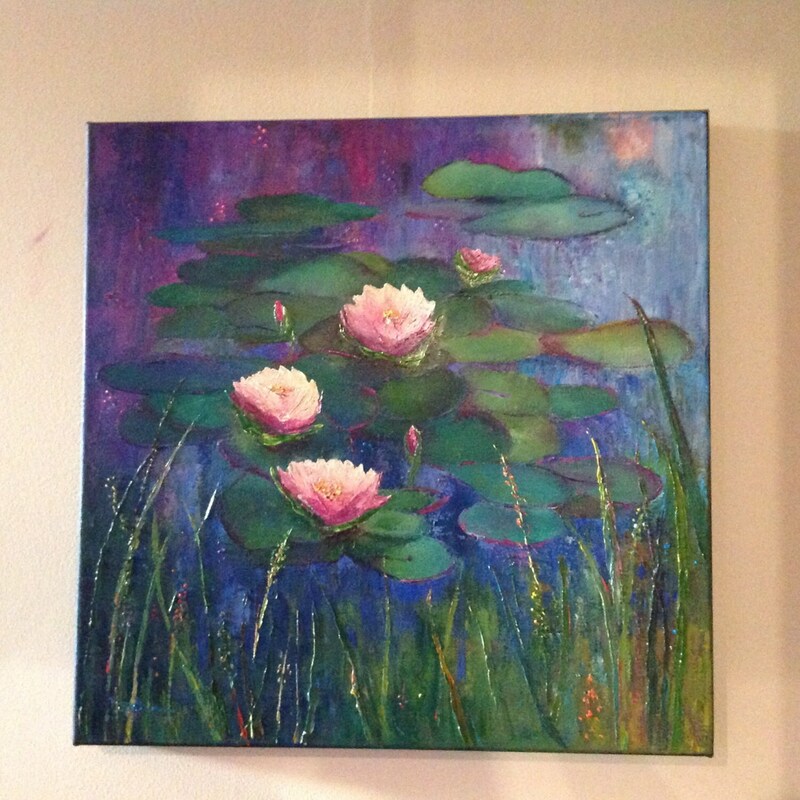 THE LILY POND is an original 24" x 24" oil painting on a gallery wrap canvas. This is an incredible painting! 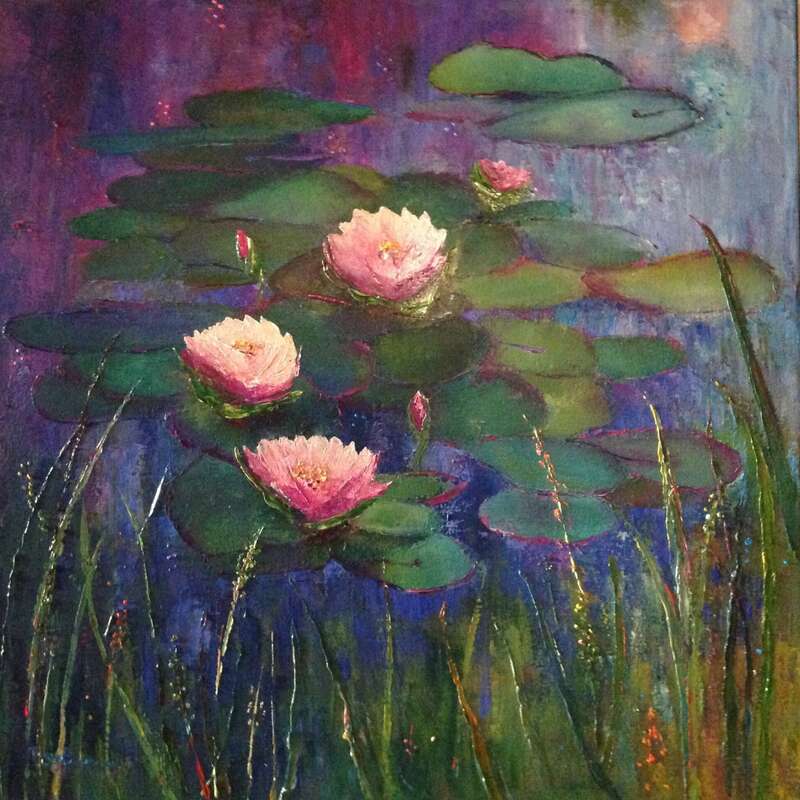 It is a bright, colorful scene of a lily pond, with the lilies blooming. 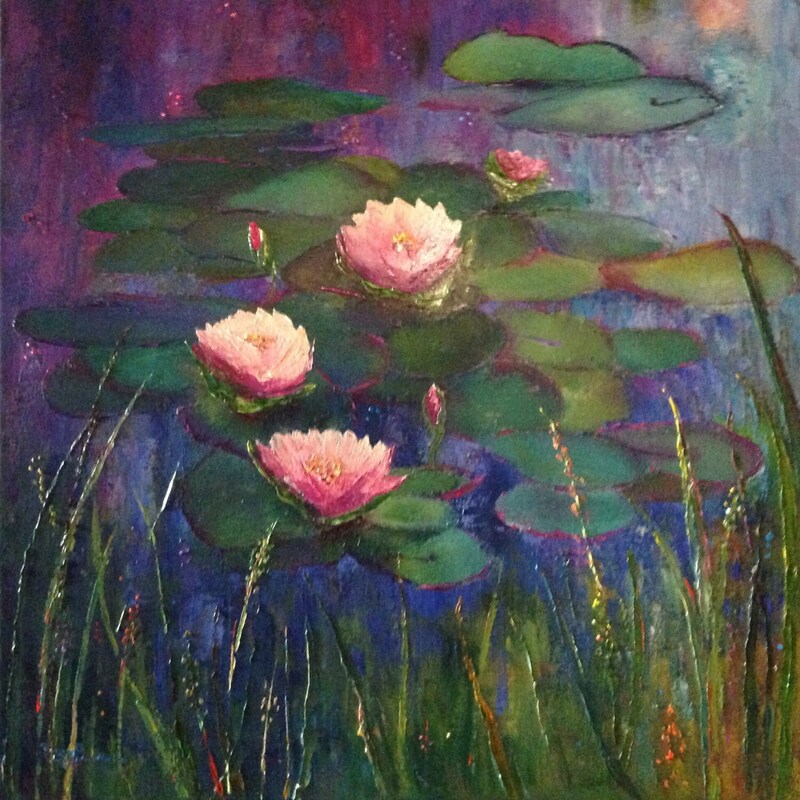 The lily pads range from shades of greens to teals. The Lily flowers are a wonderful shade of ivory, with pink edges. This is an amazing painting that would light up any room you put it in. The painting canvas is called a Gallery Wrap and has a depth of 2". The edges are painted and no frame is needed It will come ready to hang. 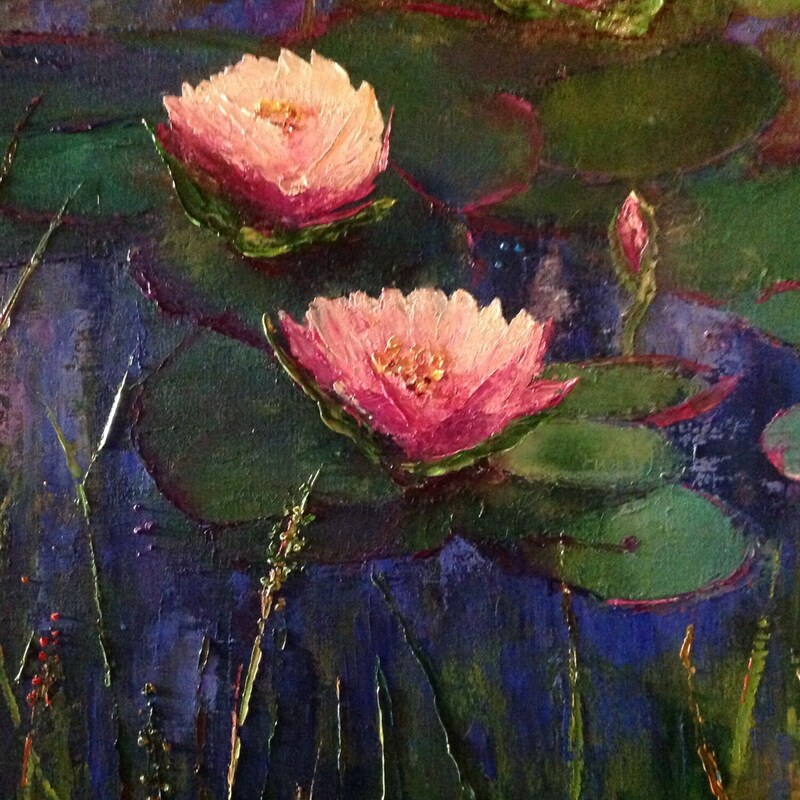 There is an impressionistic feel to the whole painting which is very pleasing. 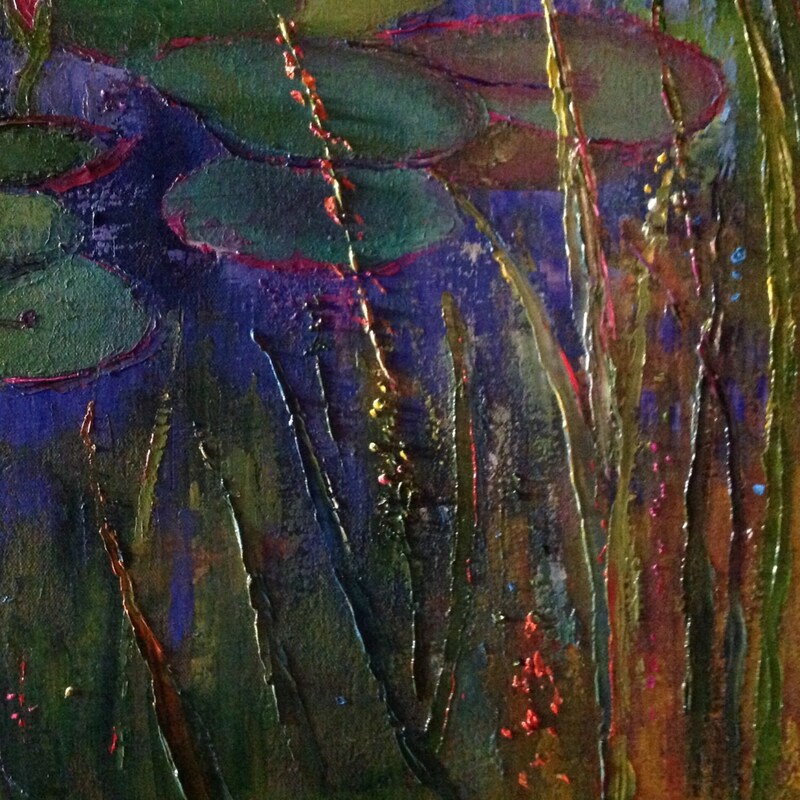 It's reminiscent of a Monet Lily Pad painting. The paint is applied with bold strokes and the colors are striking.